The most famous--but not the earliest--Thanksgiving on American soil occurred in the fall of 1621 when the Pilgrims at Plymouth Rock decided to celebrate their first harvest. That Thanksgiving was a three day celebration rather than the one day feast suggested by H. W. Westermayer's famous quote. 53 pilgrims were joined by 90 Native Americans, from the nearby Wampanoag Tribe including King Massasoit. Four Pilgrims obeying an order from Governor John Carver went "fowling" and returned with so many wild turkeys they were able to feed the entire company for a week. The Indians left the feast to hunt and returned with five deer. In the two recorded accounts I've examined there is no mention in this 1621 celebration of prayer but there is no question there was a pervasive attitude of gratitude that they had survived their first winter in the new colony. Edward Winslow wrote to England that "although it be not always so plentiful as it was at this time with us, yet by the goodness of God, we are so far from want that we often wish you partakers of our plenty." Earlier thanksgiving celebrations had occurred at Jamestown in 1610 and among the Spanish explorers in the 16th century. And the Plymouth colony had observed a day of prayer and thanksgiving on the Mayflower when they first dropped anchor in Plymouth Bay. The first Thanksgiving celebration which occurred by legal proclamation occurred on December 4, 1619 when a group of English settlors landed near Jamestown. The charter this group of colonists had adopted specified "(w)e ordaine that the day of our ships arrival at the place assigned for plantacon in the land of Virginia shall be yearly and perpetually kept holy as a day of thanksgiving to Almighty God." 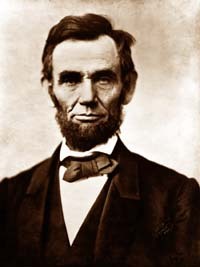 While thanksgiving celebrations would occur frequently during both the colonial and revolutionary war days, it was Abraham Lincoln who initiated the pattern of celebrating Thanksgiving on the final Thursday of November. FDR in 1939 changed that tradition to have Thankgiving Day fall on the fourth Thursday of each year. It has seemed to me fit and proper that they should be solemnly, reverently and gratefully acknowledged as with one heart and voice by the whole American people. I do therefore invite my fellow citizens in every part of the United States, and also those who are at sea and those who are sojourning in foreign lands, to set apart and observe the last Thursday of November next, as a day of Thanksgiving and Praise to our beneficent Father who dwelleth in the Heavens. And I recommend to them that while offering up the ascriptions justly due to Him for such singular deliverances and blessings, they do also, with humble penitence for our national perverseness and disobedience, commend to his tender care all those who have become widows, orphans, mourners or sufferers in the lamentable civil strife in which we are unavoidably engaged, and fervently implore the interposition of the Almighty Hand to heal the wounds of the nation and to restore it as soon as may be consistent with the Divine purposes to the full enjoyment of peace, harmony, tranquillity and Union."